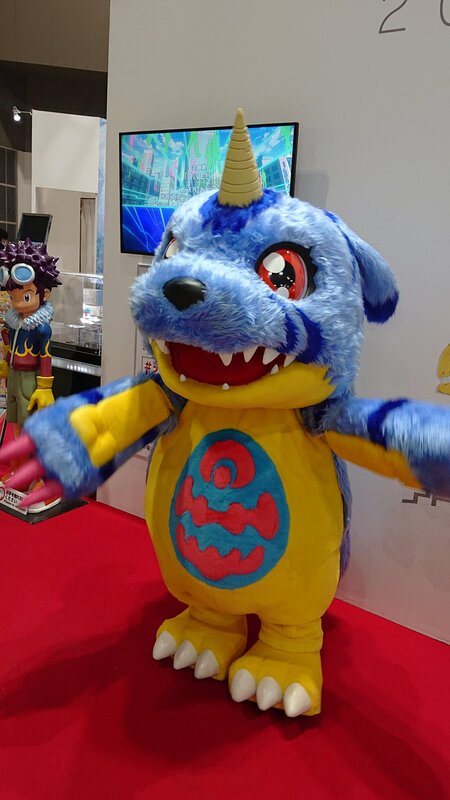 Thread: Digimon at Anime Japan 2019! 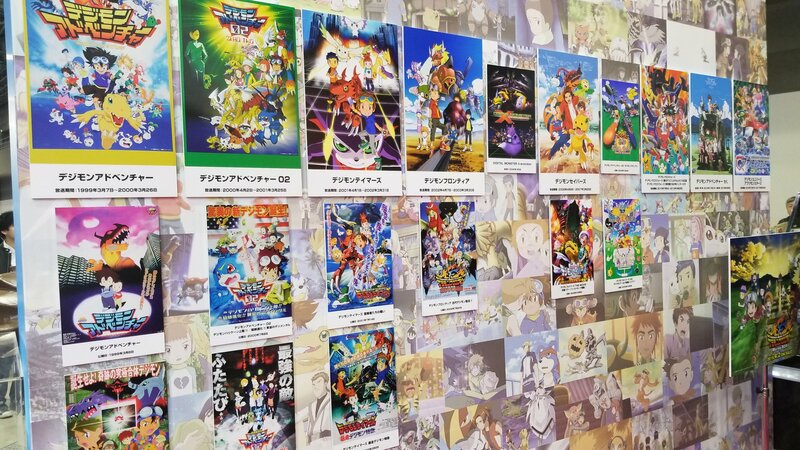 New Movie Display & Wall Featuring all of the Anime! 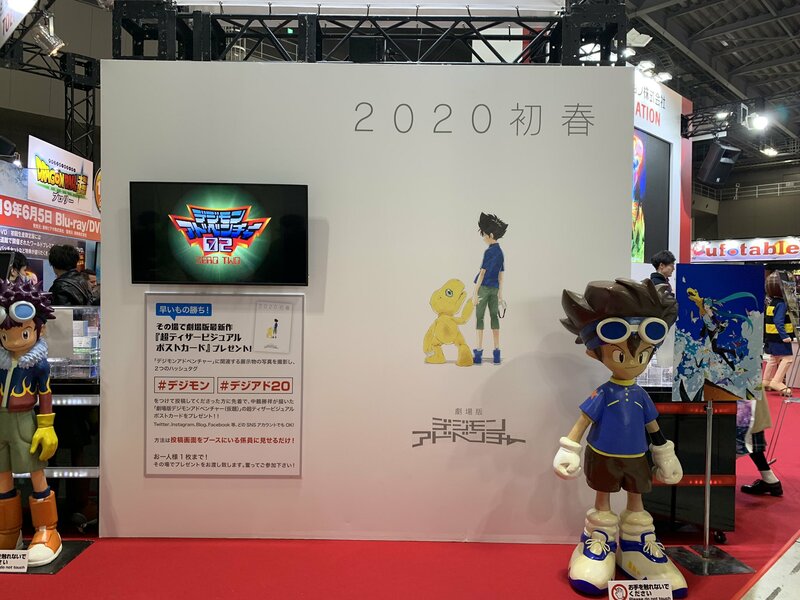 After a few previews from Twitter a few hours ago, the Digimon Adventure 20th Twitter has posted some images of the Digimon display at Anime Japan 2019, which begins soon. 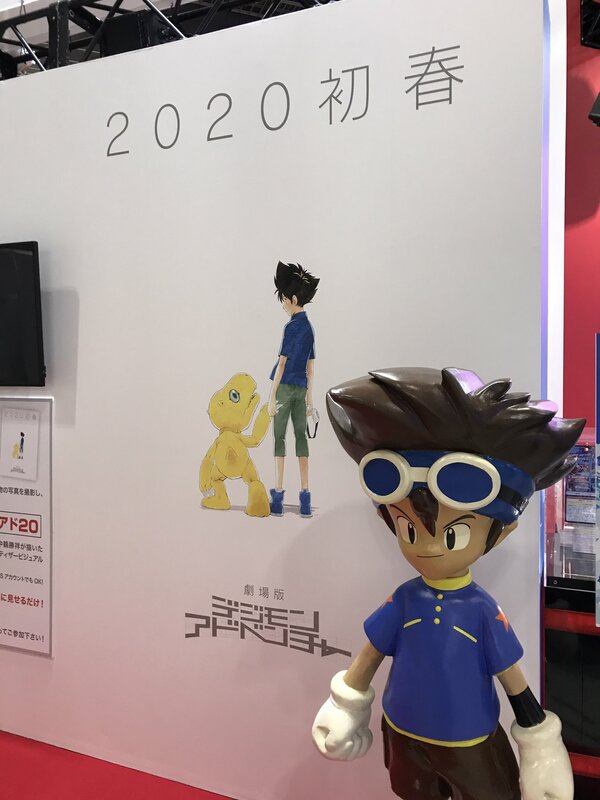 The tweet mentions sharing 20 years of thanks with everyone. 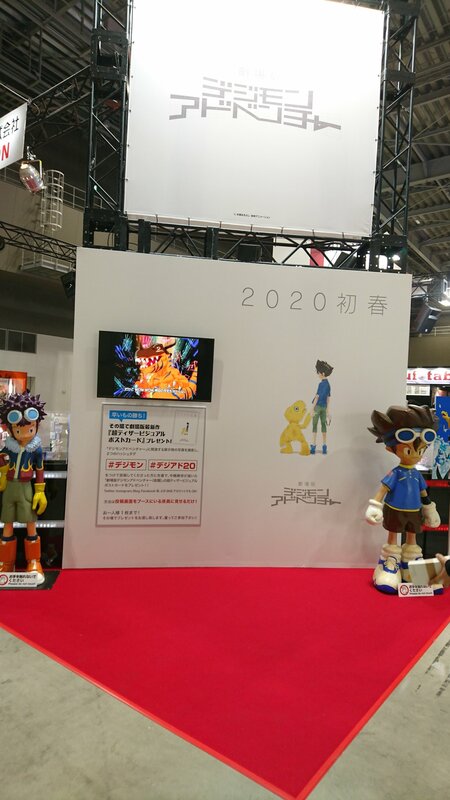 The image above features the original Adventure and 02 statues of Taichi and Daisuke, used to promote Adventure and 02 when they originally rand, along with occasional appearances here and there since. 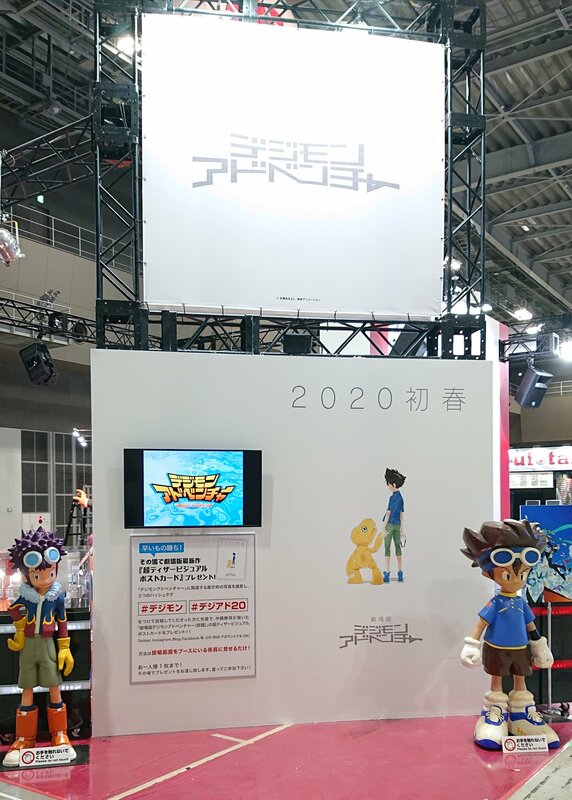 There is a big version of the 20th logo up above, along with a display showing the poster art, and video on display. 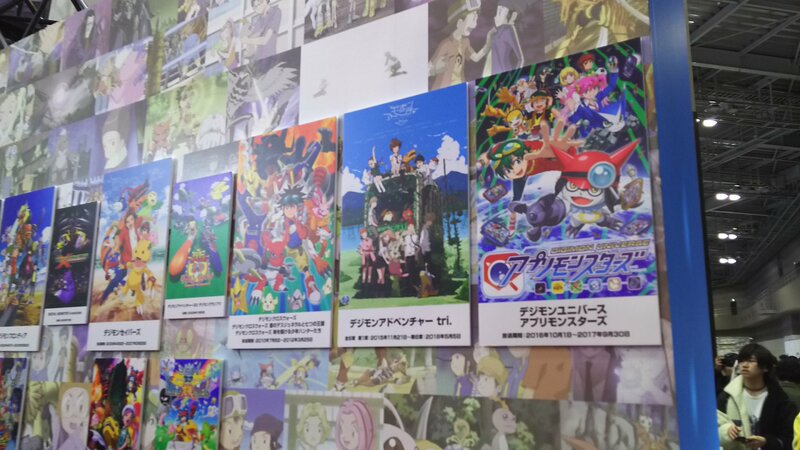 You can also see the Digimon/Hatsune Miku art by Uki Atsuya off to the site. 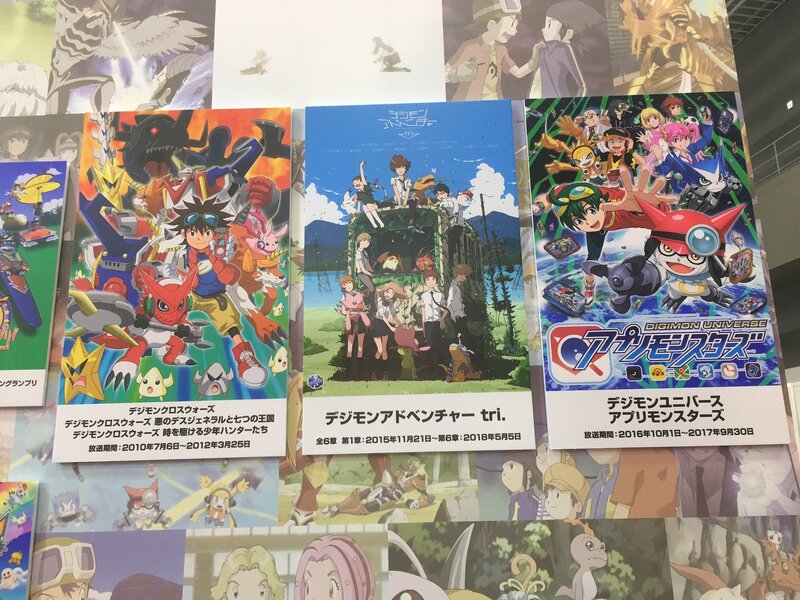 Instructions are also provided for how to get the new movie postcards they are giving away. 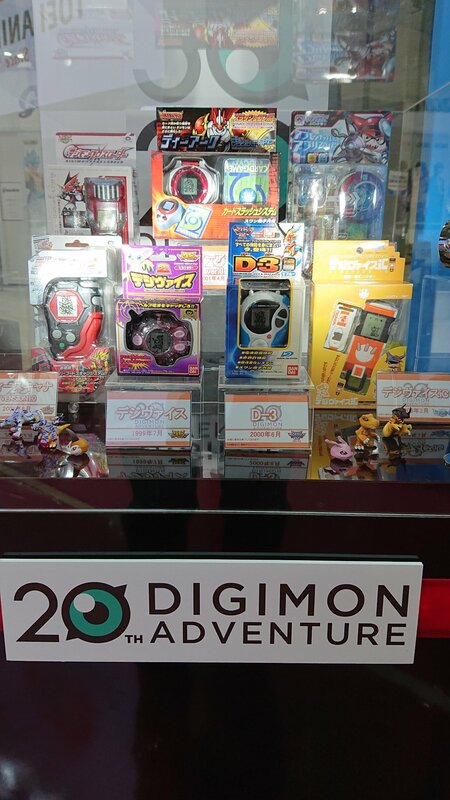 The 2nd image, showing the other side of the display, is a celebration of 20 years of Digimon anime! 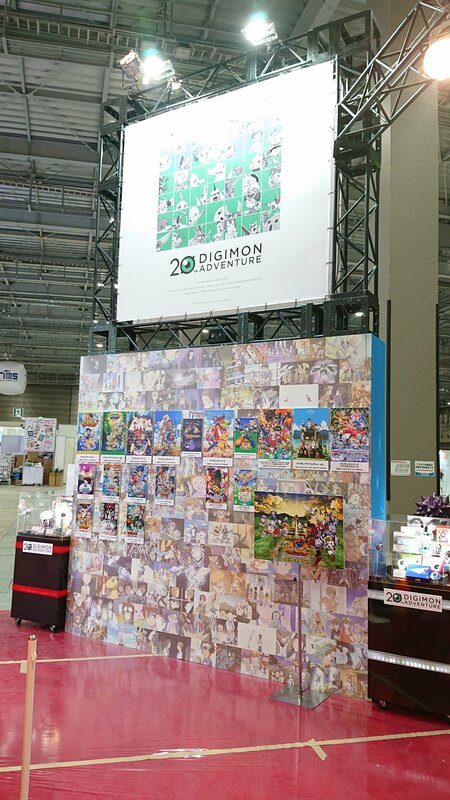 The memorial art is up above, and down below a display showing every Digimon anime, along with a big wall showing screenshots from everything! 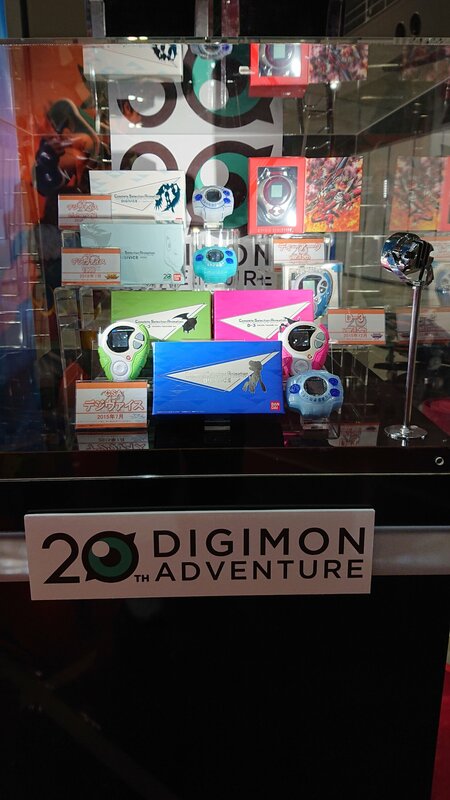 Hopefully we get more photos of the displays! 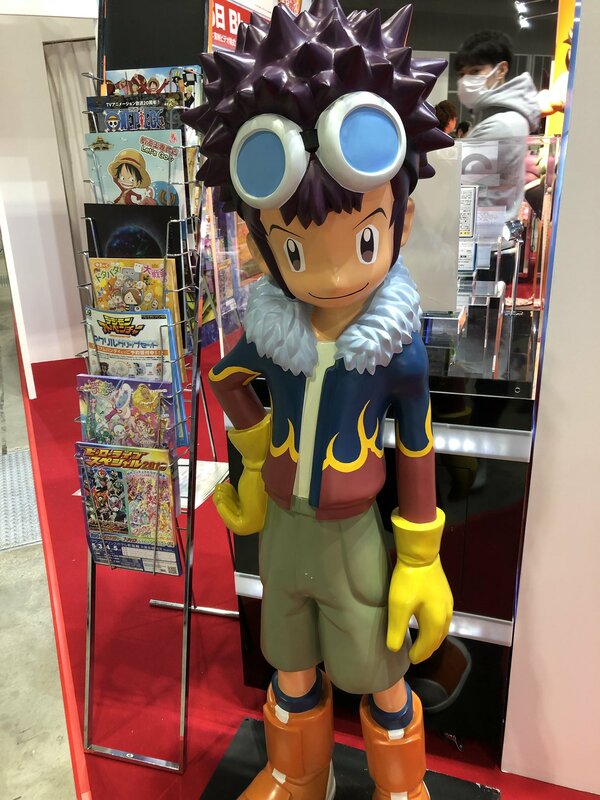 Update- Photos have begun to show up on social media since Anime Japan is open! 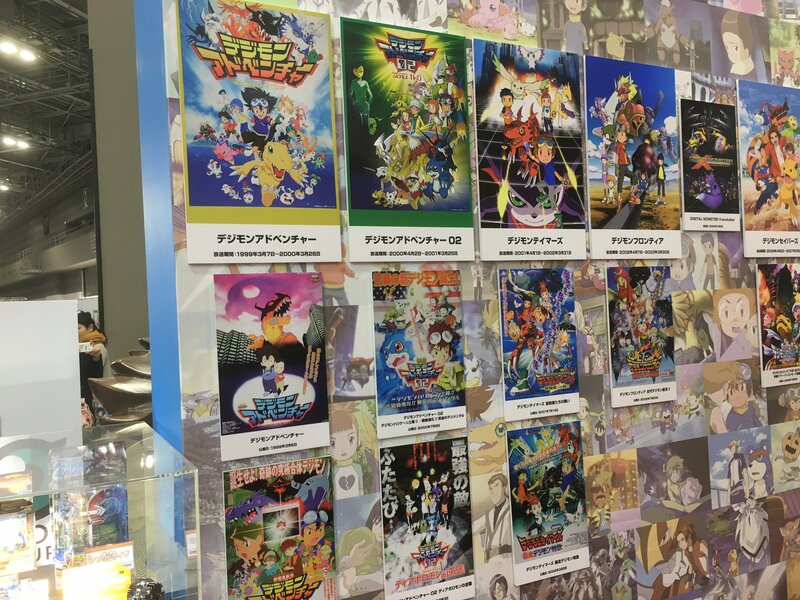 The images are giving us far better looks at some of the display, and hopefully we get even more of the other side with all the anime images. 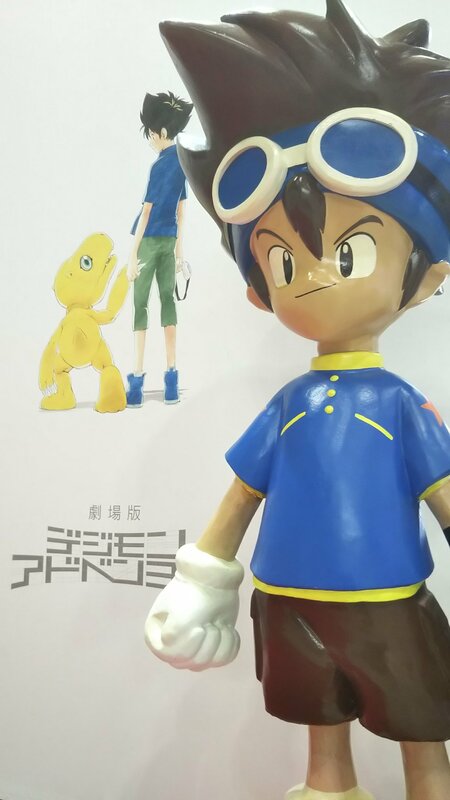 More images to come hopefully! 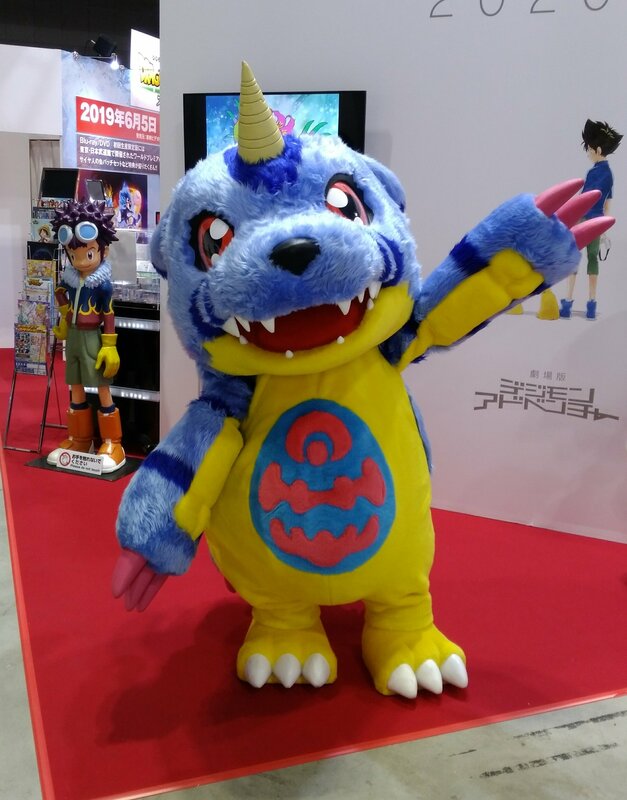 Update- Gabumon has shown up for photos! 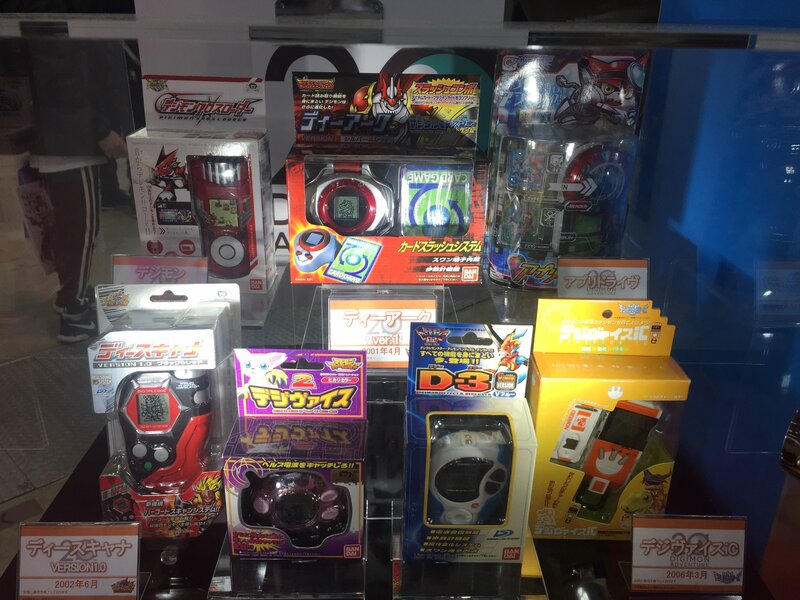 Update- One of the Digivice displays. 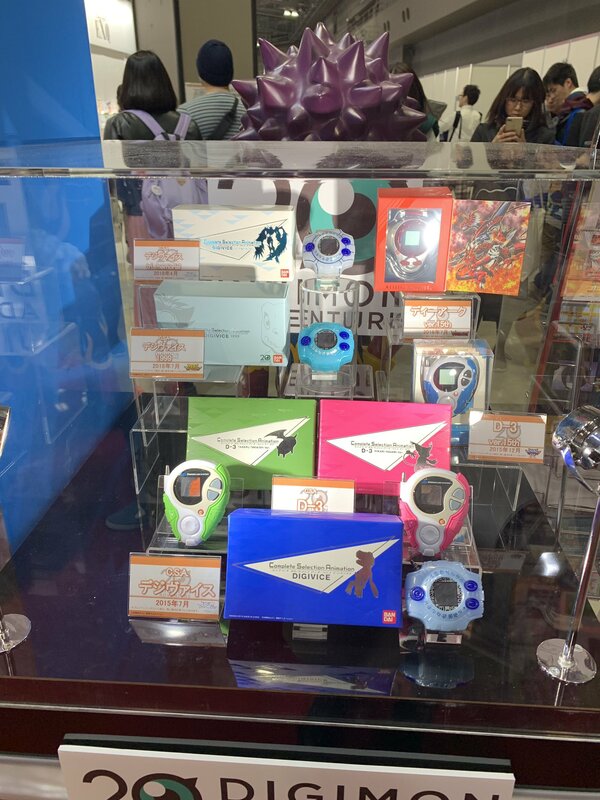 This display shows off the original Digivice product for each series, minus Adventure. 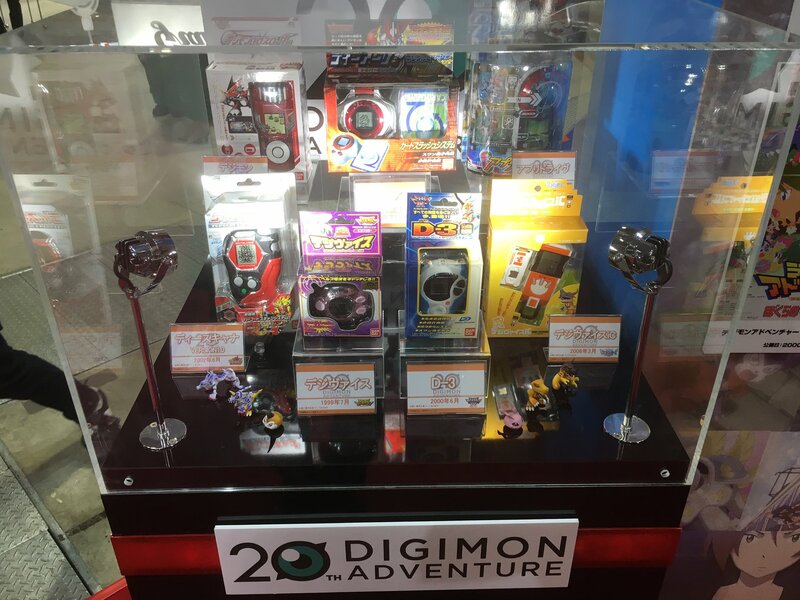 Update- Even more display photos! 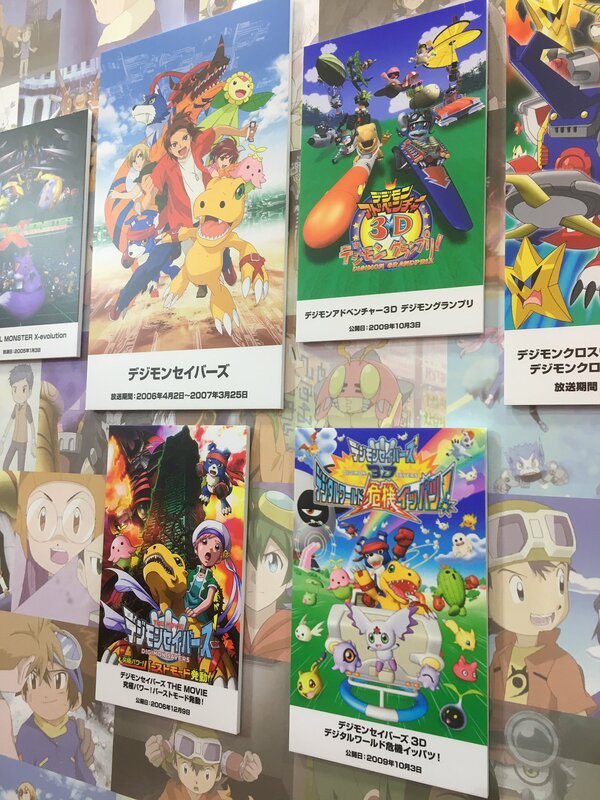 Plus a really nice shot of the Frontier placard from the Frontier Blu-ray Twitter. 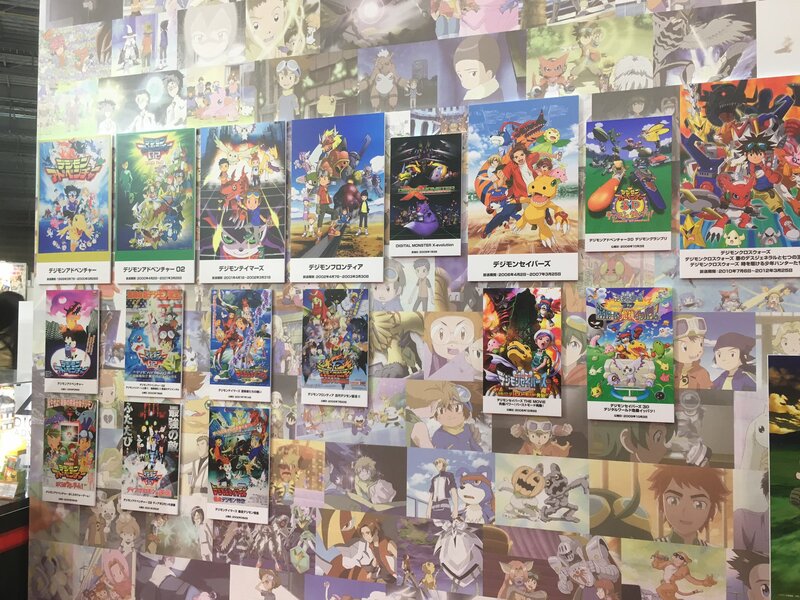 I love all the displayed artwork, but I wish Hunters was on there somewhere. 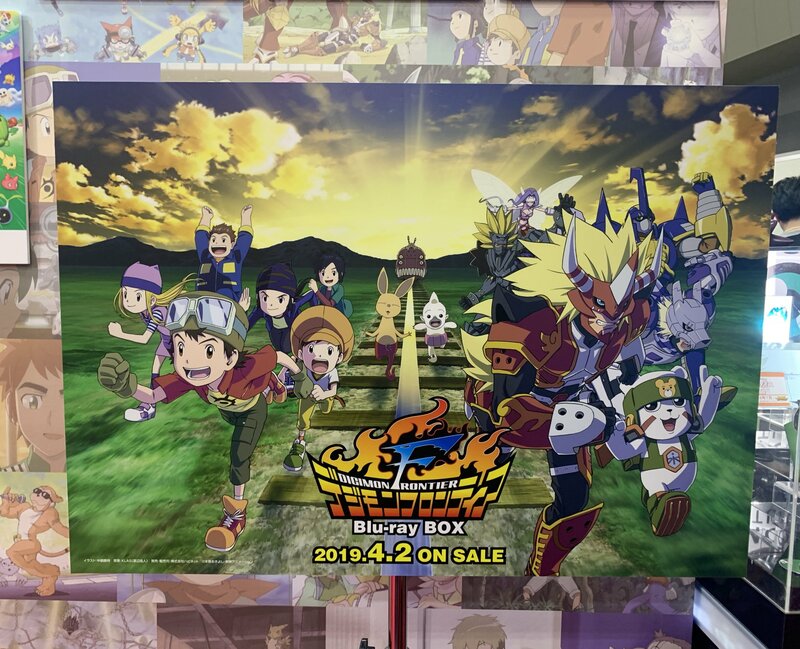 I know it’s just a “third arc” of Xros Wars, but I love the aesthetic from it. 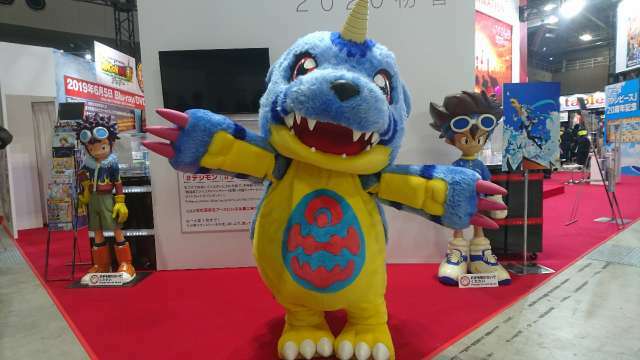 At least Appmon is there! 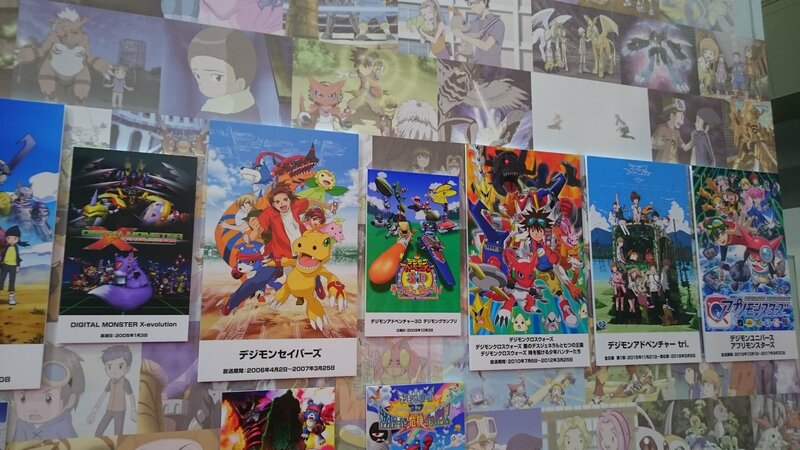 In second image, there is a poster beneath "Digimon Grand Prix" and next to "Digimon Savers: Ultimate Power! 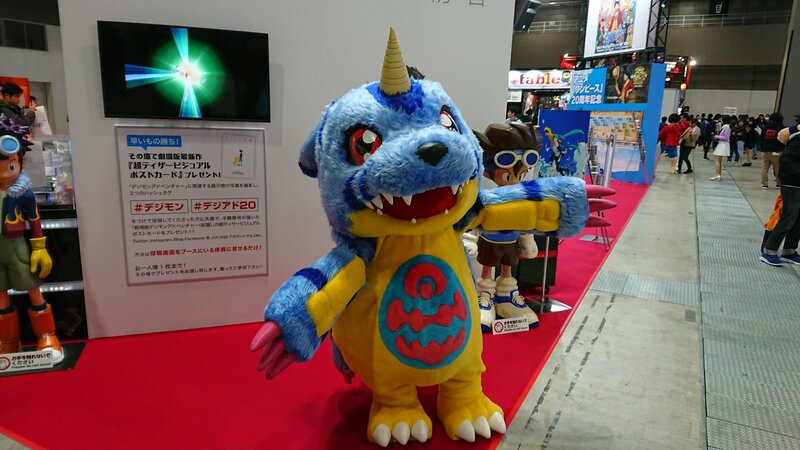 Activate Burst Mode!!". 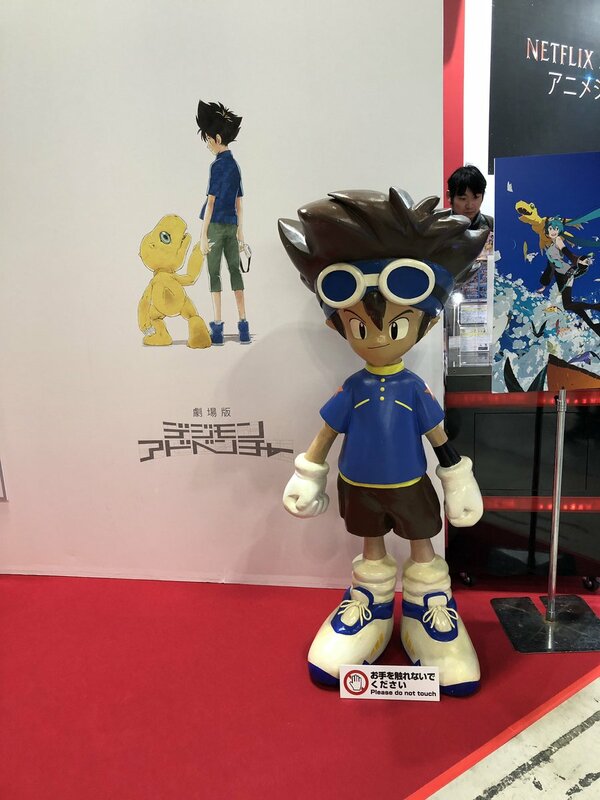 It doesn't look familiar to me and I doubt if I've seen it at all. 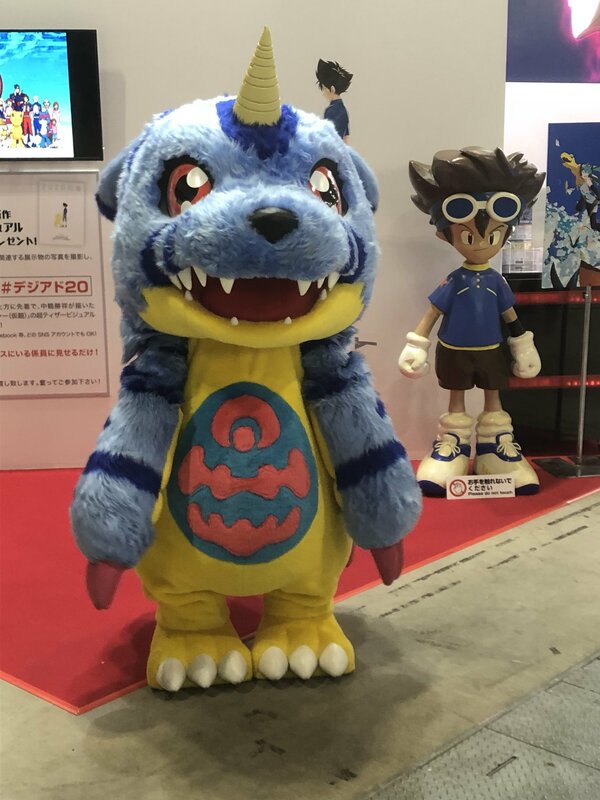 Can anybody please help me know the name of it? 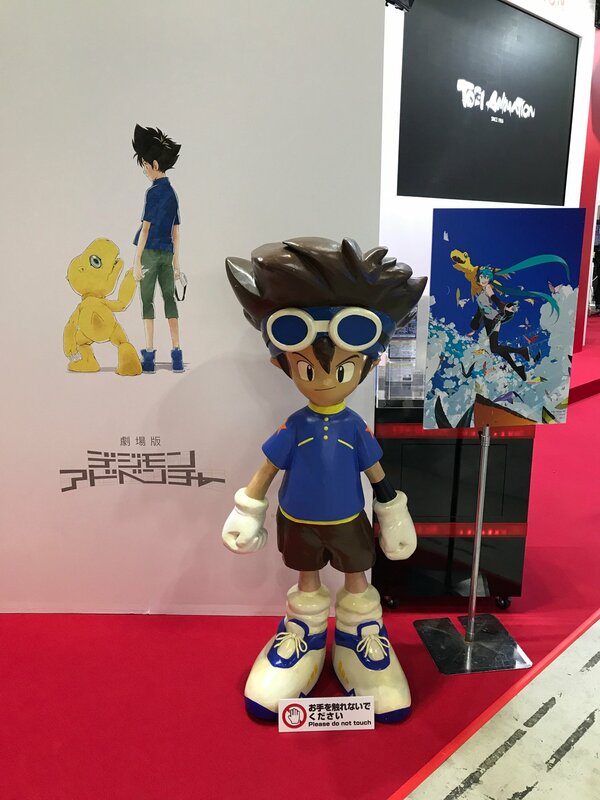 Daisuke and other Zero Two kids existed in Tri. 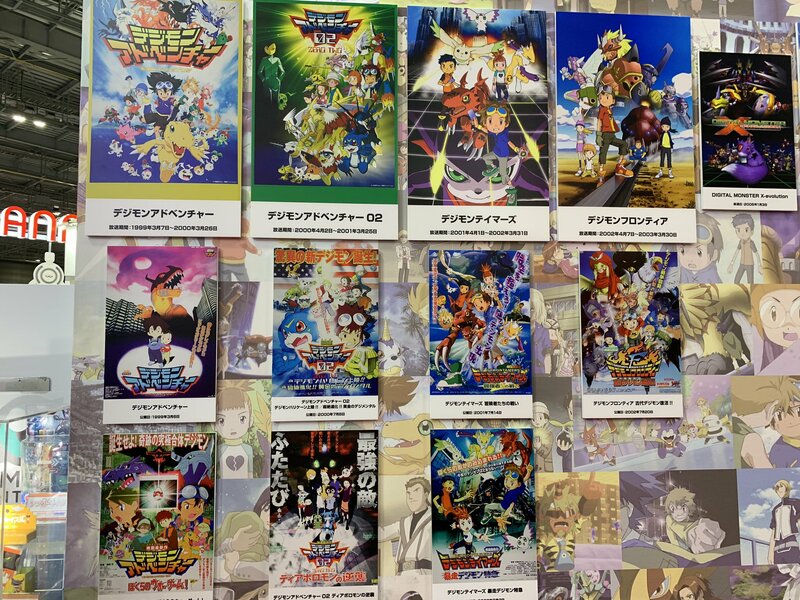 The story of Tri (and probably the new project) doesn't focus on them, but they still exist and are mentioned. 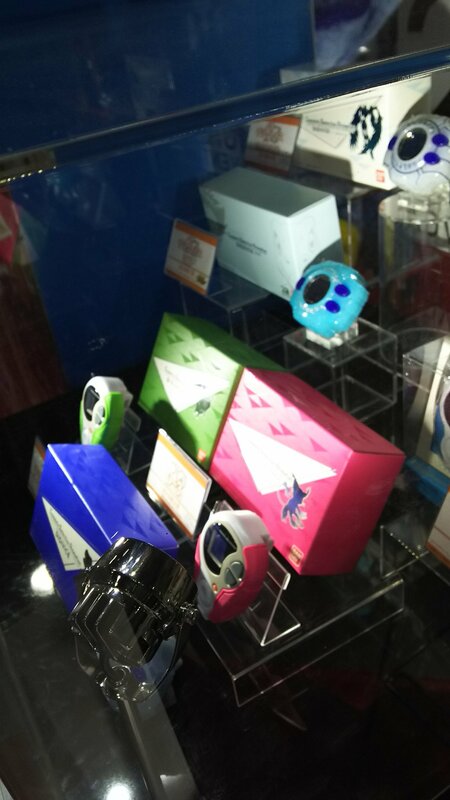 That's really cool. Is it just me or is where Hunters placed a bit funny in some way?